Kia Proceed Performance, Engine, Ride, Handling | What Car? In all, there are three engines in the line-up. The 138bhp 1.4-litre T-GDi petrol and 134bhp 1.6-litre CRDi diesel can be chosen with a six-speed manual gearbox or seven-speed dual-clutch automatic. The GT-Line S is only available with the 1.4 T-GDi and automatic gearbox, and the range topping GT is automatic-only with the same 201bhp 1.6-litre T-GDi petrol engine as the Ceed GT hatchback. The 1.6 petrol delivers its power strongly. 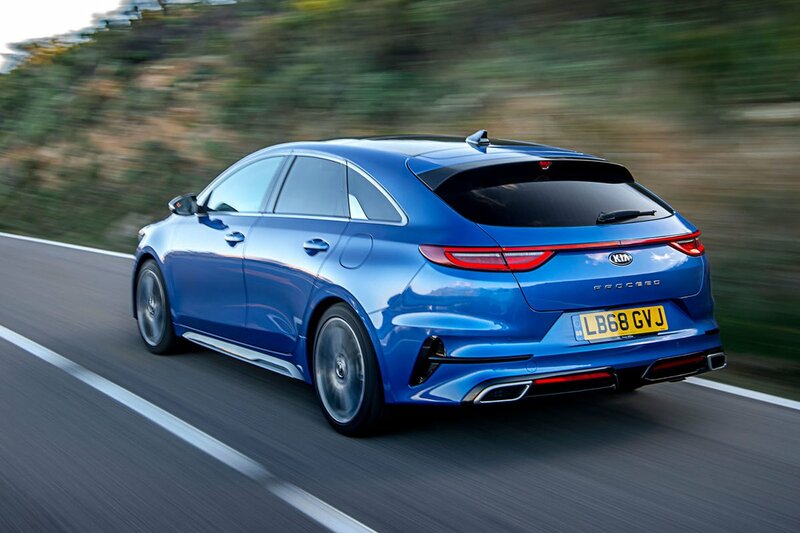 Its broad spread of torque kicks in from low revs and provides enough flexibility to take motorway overtakes in its stride. Just don’t expect hot hatch levels of performance – it’s brisk without being downright fast. A prod of the ‘sport’ button sharpens the accelerator pedal’s response further and provides a rorty – albeit electronically enhanced – soundtrack when you put your foot down. The less powerful 1.4 T-GDi is reasonably flexible on undemanding journeys; it’ll take you up to motorway speeds and cruise along without huge effort, but does feel strained if you give the accelerator an enthusiastic prod and ask for a really quick burst of pace. In all other circumstances though, it’s impressive and our pick of the lineup in terms of price and economy. We definitely prefer it to the slightly breathless, less refined and pricier 1.6 CRDi. 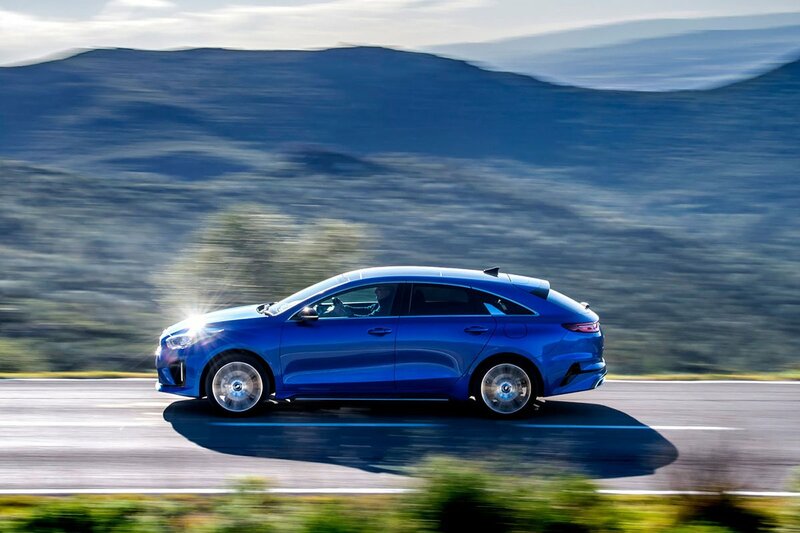 Meanwhile, the six-speed manual gearbox feels slightly notchy and not as slick as those of some rivals, such as the Ford Focus and Volkswagen Golf estates. The automatic is more impressive, proving smooth, quick and not easily flustered. Only a hesitancy to react to a floored accelerator pedal blots its copybook. Kia is quite proud of how much effort it puts into ride and handling, and the Proceed GT-Line strikes a good balance between the two. The ride is composed, firm but not uncomfortable, yet the handling is both secure and quite entertaining, with little body lean when cornering hard. In fact, few cars in this class – perhaps the Focus and Golf are among them – are more pleasing to drive enthusiastically. 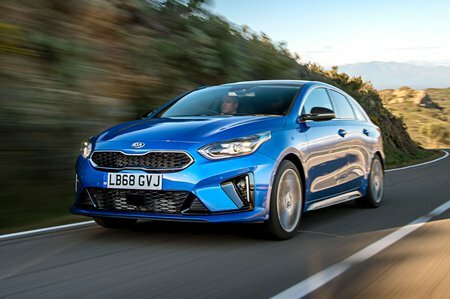 Kia offers Michelin Pilot Sport tyres as an option; this premium-brand, semi-sporting rubber is all we’ve driven the car with so far, but as impressively grippy as it may prove, it’s hard to imagine too many buyers ticking the box. The Proceed GT gets even stiffer suspension that certainly makes it feel more agile, but this comes at the expense of ride comfort. Although it never gets truly uncomfortable, some may find it too lumpy for a family car. It’s also worth pointing out that road noise is very noticeable at all times.